The space symbiotes have all been bonded, the rockets have crashed, and the heads have all been eaten. 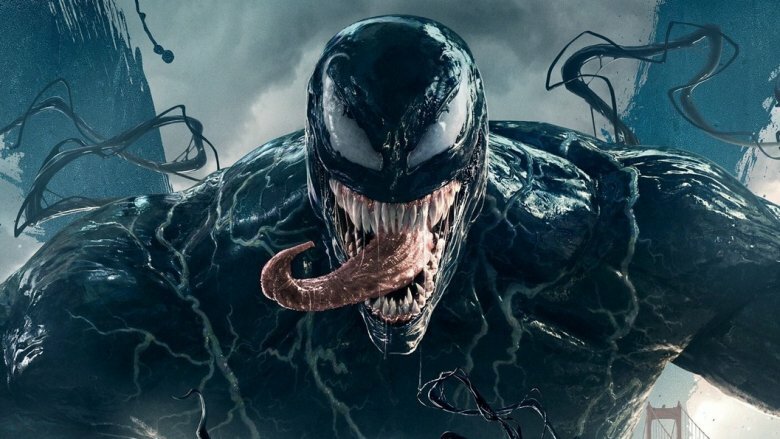 After months of anticipation, Sony's standalone Venom movie has finally come and gone, and we all survived — and the audience even got a pretty solid goopy alien action movie out of the deal! And even if there's no getting around the fact that Venom might not be up to the standards of a typical entry in the Marvel Cinematic Universe, it still manages to entertain — and it even raises a few interesting questions by the very end in the bargain. That last point is exactly why we're here. Want to know what was going on after the final act ended and the credits started to roll? For that matter, how about even after the credits rolled? Let's eat some lobsters and try to explain the end of Venom. And, obviously, major spoilers ahead. So why does Venom switch sides? 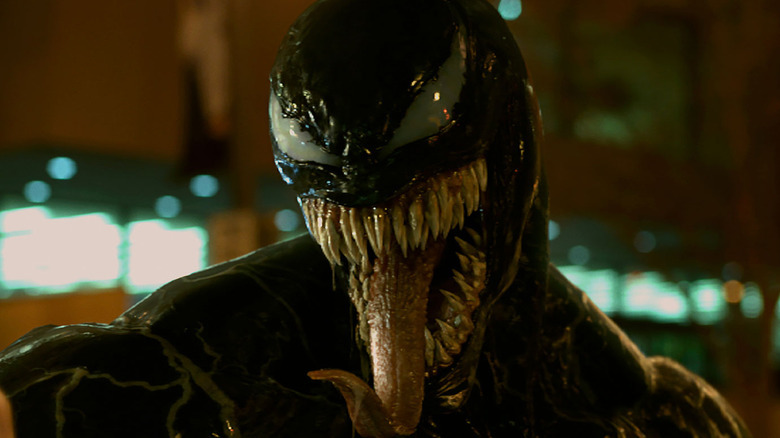 One of the biggest question marks that may have popped up over viewers' heads by the end of the film surrounds the about-face that came from the Venom symbiote. For some reason — one that's barely alluded to — the goopy alien tells Eddie Brock that he's ready to help humanity repel his race's invasion of Earth. Why? According to the alien, it's because on his home planet, he's kind of a loser, just like Brock. It's a great line, but it doesn't actually do much to fill in the blanks on a pretty pivotal moment. Regardless, it seems likely to have some roots in the comics from which the movie takes its inspiration. In Venom: First Host #1, we learn that the symbiote that would eventually become Venom became an outcast from the rest of its gloopy brothers and sisters, possibly the result of some kind of cognitive damage. As a result, Venom's never really been quite like the rest of the symbiotes we've met in Marvel Comics. Of course, none of that explanation packs quite as much punch as Venom straight up calling himself a loser, so it makes sense that this particular part of his backstory might not have made it to the script. The Life Foundation's head honcho and top bad guy, Carlton Drake, was up to his armpits in symbiotes for most of the movie, but by the end, the only two left were Riot and Venom. So what happened to the rest of them? It wasn't particularly easy to follow along, as one pile of goop looks pretty much like any other, but it seemed that each one simply couldn't hang in the hosts they were given. By the end, Drake apologized about the deaths of each other symbiote soldier to Riot as the two prepared to steal the rocket and head out to the great beyond. In short, it seemed that a good chunk of humanity wouldn't serve as particularly good hosts for the symbiotes should they come to Earth and try to take over. Of course, that kind of makes the whole plan to invade the planet kind of silly, doesn't it? You know, because if most of the symbiotes die from trying to take over any random host on Earth, it would kind of be pointless to bring lots of symbiotes to the planet, since it seems almost like a random chance that a symbiote would be compatible with a host, and — strategically speaking — it doesn't make a whole lot of sense to base a hostile planetary takeover on the hope that enough suitable hosts could be located — you know what? Forget it. Doesn't matter. Let's move on. While knowing a lot about comic book continuity and relatively obscure supervillains is the hallmark of being a super cool guy these days, there were still probably more than a few people scratching their heads when Woody Harrelson showed up wearing a bright red wig in the first post-credits scene. So what's the deal with Woody playing yet another natural born killer? If your comic book reading buddy didn't tell you on the ride home, that, dear friends, was Cletus Kasady, a mass murderer who eventually becomes the supervillain named Carnage — which is why he seemed to hang on that word so much at the end of his villainous monologue in his prison cell. Carnage is yet another symbiote, an even goopier, evil-er offspring of the Venom lifeform. That's right: Venom's gonna be a mom, y'all. The post-credits scene was a pretty clear example of sequel-teasing, especially considering that Kasady had absolutely zero bearing on the movie's story, and the character was never mentioned before he even showed up onscreen. But despite the fact that all the other symbiotes seem to have perished in this movie, we know that if Sony decides to greenlight a Venom sequel, the identity of the lead villain will be abundantly obvious. 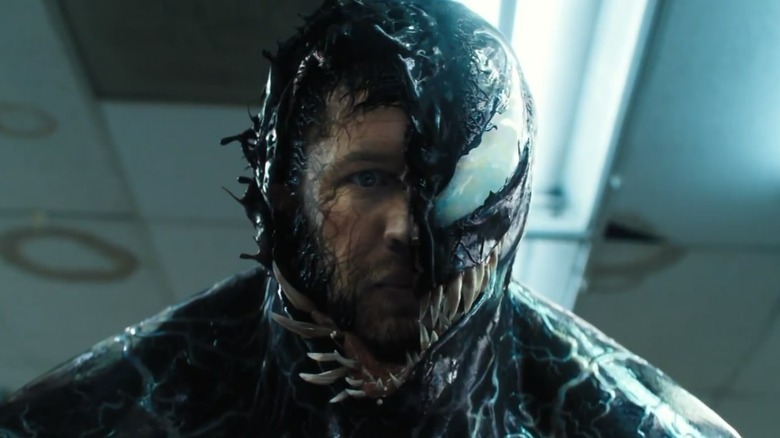 While Venom is ostensibly the hero of the movie that bears his name, the Eddie-alien combo still had a hard time keeping their more violent urges in check for the majority of the film. Nowhere is that better shown than in the final scene before the credits roll, inside the bodega where Venom straight-up eats a dude's head — and also says that thing about turds in the wind, which is kind of a weird thing to say before you eat something, but anyway. The main takeaway from this scene, however, is that Eddie doesn't seem all that concerned with hiding his identity from those in the community, like the store's owner, Mrs. Chen. So does that mean that Eddie is more or less going public with his alter ego of Venom? The short answer is, well, maybe! 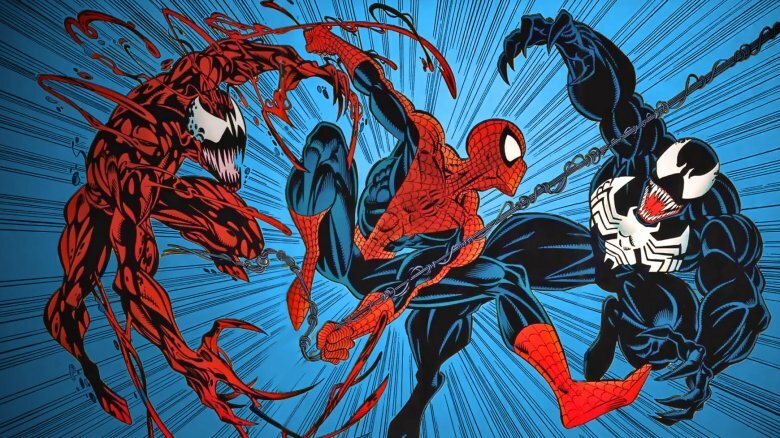 We know from the comics, especially the "Lethal Protector" story from the 1990s that offered this movie plenty of inspiration, that Brock's identity as Venom was widely known to the residents of San Francisco. Obviously if the guards at San Quentin knew he had a superpowered alien symbiote living inside him, they never would've let Eddie get within ten feet of Cletus Kasady. But that doesn't mean that Brock is going to keep Venom much of a secret from the folks he considers good people in his neighborhood, so it stands to reason that Eddie may be pulling an Iron Man and not really doing much to keep his alter ego a secret. We'll have to wait for a sequel to see if Brock's neighbors give him a wide berth when they see him walking down the street, talking to himself. So does this movie take place in the MCU or what? 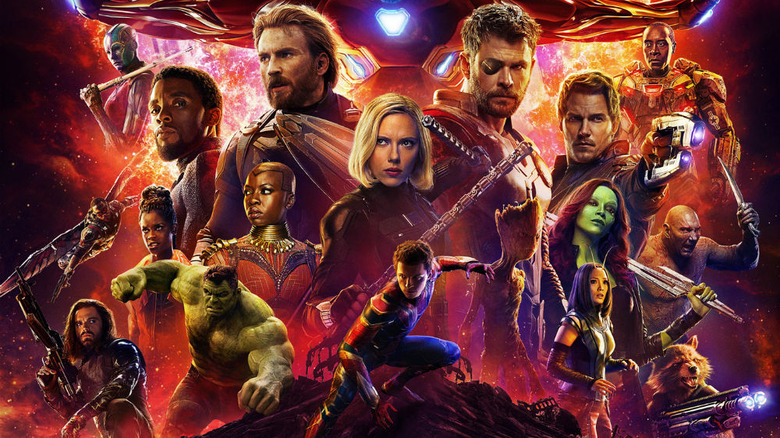 If you're a big fan of these comic book movies, you probably already know that just because it says "Marvel" at the beginning doesn't mean that Captain America might show up at any moment… or Spider-Man, for that matter. Sure, Sony and Marvel Studios reached an agreement to share Spidey for the MCU's movies — like Avengers: Infinity War, Spider-Man Homecoming, and Captain America: Civil War. But the rest of the supporting characters from the pages of Spider-Man's comic books remain something of a mystery in terms of continuity since Sony owns their movie rights and Marvel doesn't. Venom's second post-credits scene was pretty exciting for Marvel fans, as it teased the forthcoming animated film Spider-Man: Into the Spider-Verse. That movie's story seems to be loosely based on a 2014 comic book story simply called "Spider-Verse," in which our Peter Parker teamed up with various different versions of Spider-Man from across the multiverse. And that didn't just include other comic book versions of Spidey — it also featured appearances from the Spider-Man from the 1970s Japanese TV show, at least a couple Spider-Men from the TV cartoons, and even the Spider-Man from Capcom's various fighting games. There was a Spider-Man for every fan. So what's this got to do with Venom? Well, it simply means that no matter what agreements Marvel Studios and Sony agree to, all roads lead to Spider-Man. The Spideys from Sony's previous two Spider-Man movie franchises — Tobey Maguire and Andrew Garfield — can theoretically connect up with Tom Holland's modern take on the wall crawler. 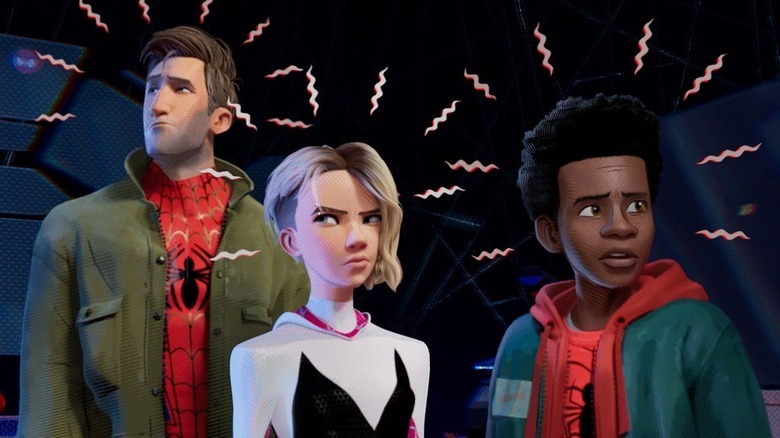 And while we may not have actually seen Spider-Man show up in this movie at all, it does mean that Into the Spider-Verse connects Tom Hardy's Eddie Brock and the gloopy black symbiote we know and love as well. Venom may never share a milkshake with Drax the Destroyer, but you can rest easy knowing that somewhere in the far reaches of the Spider-Verse, it just might happen.